The terms and conditions set out below apply to Passport Control FastTrack bookings made on this website. Please read through these carefully. These terms and conditions apply to Passport Control FastTrack bookings made on the official Manchester Airport website, the official Stansted Airport website and the East Midlands Airport website. When booking a product on these websites you will be contracting with either: Manchester Airport Plc, Stansted Airport Limited or East Midlands International Airport Limited depending on your arrival airport. 1.1 These terms and conditions ("Terms") apply to all bookings for Passport Control FastTrack made via the two websites noted above, the Manchester Airports Group Customer Contact Centre and our sales agents (you will be provided with a copy of these terms when you order with our sales agents and it is that version of our terms and conditions that applies to your purchase). 1.2 In these Terms, references to "the Airport" are references to either: Manchester Airport Plc, Stansted Airport Limited or the East Midlands International Limited, as applicable depending on which Airport you are purchasing services from. In these Terms "you" and "your" refer to the person who makes a booking for our services and "we" and "us" refers to the applicable Airport, as described above. The contract for Passport Control FastTrack is made between you and the Airport. 1.3 Any contract made between you and us via these websites is governed by English law and any dispute between us will be resolved exclusively in the courts of England and Wales. If you live in Scotland you can bring legal proceedings in respect of the products in either the Scottish or the English courts. If you live in Northern Ireland you can bring legal proceedings in respect of the products in either the Northern Irish or the English courts. 1.4 The official Manchester Airport website is owned by Manchester Airport Plc (Company Number: 01960988) which is incorporated in England, and its registered office is FAO Sylvia Welsh Manchester, Professional Services Limited, PO BOX 532, Town Hall, Manchester, M60 2LA. The official Stansted Airport website is owned by Stansted Airport Limited (Company Number: 1990920) which is incorporated in England, and its registered office is London Stansted Airport, Enterprise House, Bassingbourne Road, Essex, United Kingdom, CM24 1QW. The official East Midlands International Airport website is owned by East Midlands International Airport Limited (EMAL) (Company number: 02078271) which is incorporated in England. The registered office is Building 34, East Midlands Airport, Castle Donington, Derby, East Midlands, DE74 2SA. 1.5 The Airport reserves the right, without notice, to amend the specification of the products or services presented on this site and to discontinue any product or service and all bookings are subject to this right. 1.6 The Airport reserves the right to change these Terms at any time, but once you have made a booking the Terms which apply are those which were on the websites at the time of booking. We recommend that you always read these Terms before booking, to satisfy yourself that you accept them. 1.7 These Terms, along with all other relevant terms and conditions that are referred to in these Terms and any other terms referred throughout the booking process (including those available online from third party operators and our sales agents), constitute the entire agreement between you and the Airport with respect to the sale of the relevant services. 1.8 No person has any authority to vary or alter these Terms and Conditions unless such variation is in writing under the hand of the Company Secretary or a Director of the applicable Airport. Lines are open 7 days a week 09:00-17:00. 2.1 To place a booking for passage through the Passport Control FastTrack lanes at the Airport you will need to complete the online booking process. 2.2 As part of the booking process you will need to submit the following details: your flight arrival time, arrival terminal, name, email address, and the number of Passport Control FastTrack tickets you wish to purchase. Please take the time to read and check your order at each page of the order process. You will then be asked to submit your payment information and confirm your order. 2.3 When you confirm your order you are entering into a contract with the Airport for passage through the Passport Control FastTrack lane at the Airport. The date of the contract is the date and time of confirmation of the booking as stated on the booking confirmation email sent to you. You are responsible for supplying a valid email address. We are not responsible for non-delivery due to transmission failure. 2.4 Bookings must be made no later than 11.59pm on the day prior to your scheduled day of arrival at the Airport. All Passport Control FastTrack bookings are subject to availability and the Airport reserves the right to withdraw availability at its entire discretion for a given date. 2.5 The price you pay is the price accepted and confirmed by you during the online booking process. All prices are in pounds sterling and include Value Added Tax and all applicable taxes. The booking is valid for a single passage through the Passport Control FastTrack lane for the terminal and date you have booked. 2.7 Please note the Passport Control FastTrack lane is not available to passengers arriving on a domestic or a Common Travel Areas (Republic of Ireland, the United Kingdom of Great Britain and Northern Ireland, the Isle of Man, and the Channel Islands) flight. 3.1 Payment must be made in advance and online. Payment may be made by the payment options outlined at the time of booking. We reserve the right not to fulfil your booking if your card is declined for any reason or if the payment card has been used fraudulently or without the cardholder's permission or if you are under the age of 18.
i) You must show the Passport Control FastTrack confirmation email (either printed or on your mobile device) at the Passport Control FastTrack passport control access gate. Upon successful presentation (including displaying on your mobile device), you will be able to access the Passport Control FastTrack lane. If you are unable to present your confirmation email (for example because your mobile device is without power) you will not be permitted to use the Passport Control FastTrack lane. ii) You must use Passport Control FastTrack lane in the specified terminal at your allotted time, if you are delayed in your arrival to the Arrivals Hall we cannot guarantee that you will be able to use the Passport Control FastTrack lane and it is at our discretion whether you are permitted to use the Passport Control FastTrack lane. iii) We do not guarantee availability of the Passport Control FastTrack Lane or a maximum or minimum queue length or time, or that the Passport Control FastTrack queue time will be less than the standard lanes. All passengers are subject to the same immigration procedures and regulations. iv) We are not responsible for any passengers who miss onward connections because they did not allow enough time to go through the passport control process. v) Use of the Passport Control FastTrack Lane does not guarantee passage through the border. All applicable passport control and immigration procedures, rules and regulations apply to their full extent and such access will be governed strictly in accordance the applicable laws. vi) We are not responsible for the actions of the UK Border Force or for any delays or hold ups in your progress through the UK Border, in particular where Passport Control FastTrack e-gates are available we are not responsible if you are unable to use the e-gate or you are required to go to the referral queue. 4.2 The Airport and its suppliers and agents reserve the right to refuse admittance to the Passport Control FastTrack Lane at any time and for any reason. 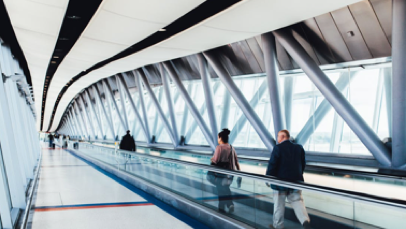 4.4 The Airport is only supplying you with the Passport Control FastTrack Lane under the contract and will not be responsible for any costs, compensation costs or expenses relating to any connections or other services that you may have arranged. You are responsible for ensuring that you allow sufficient time for airport and immigration procedures and any subsequent travel arrangements. 4.5 We only take bookings for Passport Control FastTrack for private use. You agree not to use any booking for FastTrack for any commercial, business or resale purposes, and we have no liability to you for any loss of profit, loss of business, business interruption, or loss of business opportunity. 4.6 We will act with reasonable skill and care when allowing access to the FastTrack lane. Nothing in these terms and conditions limits our liability in the case of death or personal injury caused by our negligence, or in the case of fraud. 4.7 The Airport does not accept liability for: (a) any indirect or consequential loss; or (b) any loss of profit, loss of enjoyment, loss of revenue, loss of data, or loss of earnings. 5.1 Cancellations are subject to the terms and conditions of your booking. 5.2 Standalone bookings for the Passport Contract FastTrack lane cannot be cancelled or amended and are non-refundable. 5.3 Where you have booked Passport Control FastTrack as part of a car park or lounge booking, you will be required to cancel your whole booking in accordance with the relevant Lounge or Car Park Terms and Conditions. Cancellations must be made at least 24 hours prior to your scheduled lounge or car park arrival date, subject to payment of a cancellation fee (please see below). 5.4 Bookings made less than 24 hours before departure cannot be cancelled and are non-refundable. All bookings cancelled within 24 hours of the car park or lounge arrival date or arrival time (as appropriate) will not be refunded. 5.5 To cancel your booking please visit the Airport website and follow the online instructions. You will receive written confirmation of the cancellation to the e-mail address stipulated. In the event of any problems, you may alternatively cancel by phoning the number stated above. 5.6 Where you are permitted to cancel a booking a £7.50 administration charge will be levied and deducted from the refunded amount, unless Cancellation Protection insurance has been purchased. Cancellation Protection Insurance is charged at the price advertised when you book your car parking and is non-refundable. 5.7 Customers who include the Cancellation Protection insurance within their booking will not incur the £7.50 administration charge and will be eligible for a full refund of their original booking only (not including any additional fees incurred), should they need to cancel their booking at least 24 hours before the car park or lounge arrival time and date. 5.8 If you booked with one of our sales agents please get in touch with them directly. 6.1 Where we are prevented from supplying the Passport Control FastTrack lane for any reason, we reserve the right to cancel the contract and provide a full refund. We will attempt to provide as much notice as is possible in the event we cancel this contract. 6.2 We do not accept liability for any failure by us to perform our obligations due to an event beyond our reasonable control. A non-exhaustive list of such events includes war or threat of war, riots, civil strife, terrorist threats or activity, industrial disputes, natural and nuclear disaster, fire, adverse weather conditions, government regulations, crown instruction, closure or congestion of airports, and/or cancellation or changes of schedules by airlines.